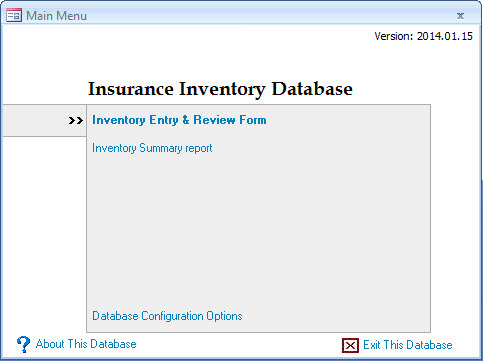 MS Access Insurance Inventory Database – CARDA Consultants Inc. I made the following a few years back for my own personal use and I thought I’d release it to the public in case it could serve others. 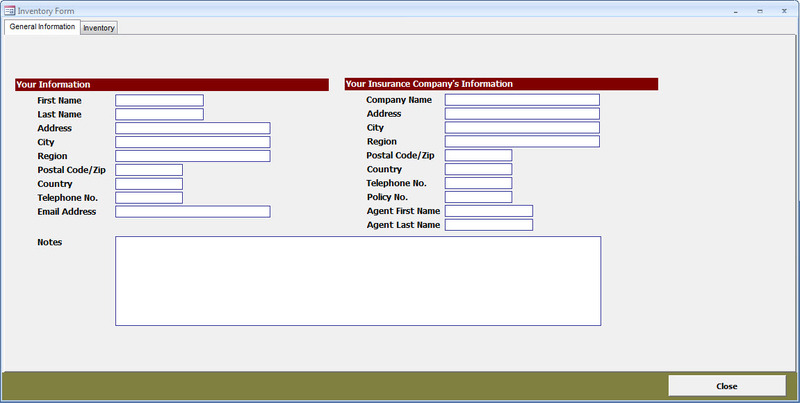 This is a very simple MS Access database (2003 mde format so it will run in any version from Access 2003 or later) in which you can input items on a per room basis. 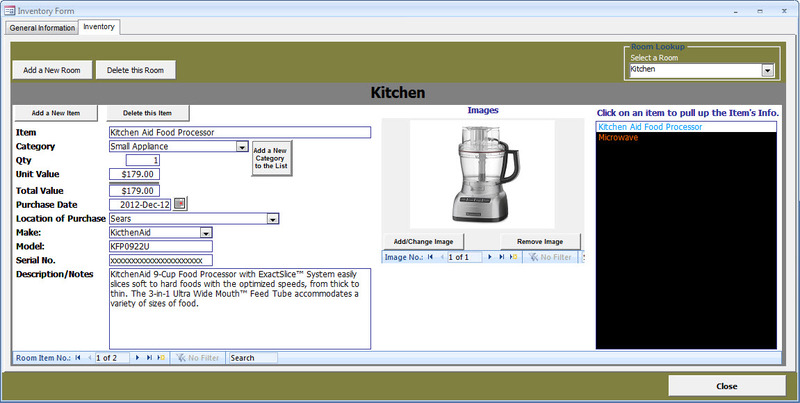 There is no limit to the number of rooms you can create, no limit to the number of items you can input, nor are there any limits to the number of images you can associate with an item!